Rum Runner was one of the original B-17F’s that equipped the 305th Bomb Group when it reached England in late 1942. This photo was taken shortly before the Fort was lost with Boomerang on the February 16, 1943 raid over France. In the Fall of 1942, the 305th Bomb Group arrived in England after a six month work up cycle in Utah, California and Washington. When the men reached East Anglia that fall, the Army Air Force assigned them a batch of factory-fresh Boeing B-17F Flying Fortresses with which they would soon begin operations against German targets in Western Europe. One of those original B-17’s was #41-24611, which the crews named “Boomerang.” The 305th was one of the first bomb groups to reach the 8th Air Force, which attracted a lot of media and PAO attention. This film clip was taken at the start of one of the unit’s earliest combat missions, either in late 1942 or early 1943. Seen taxiing toward its take off run is Boomerang and her crew. 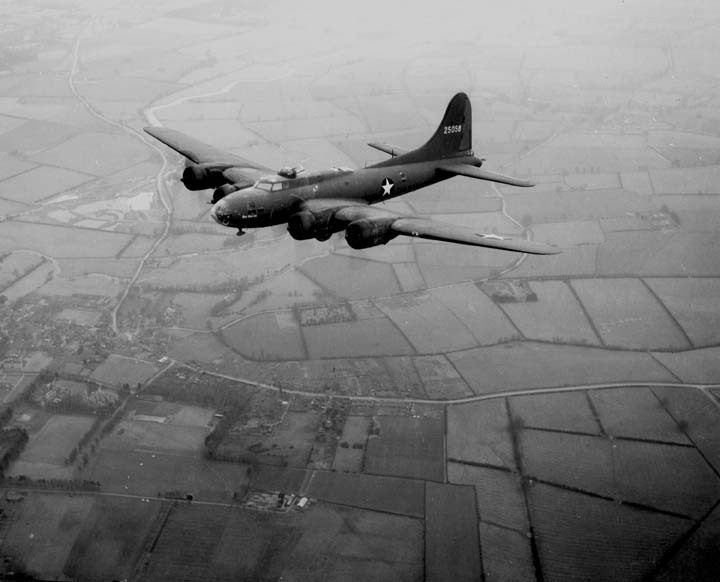 On February 16, 1943, the 305th flew a bombing mission over Brittany, France. The Forts were hit by flak and fighters, and the Luftwaffe interceptors singled out Boomerang. Firing passes knocked out two of the B-17’s engines, and it dropped out of formation on fire. Other members of group saw a number of parachutes blossom from the aircraft just before it disappeared into a layer of clouds. Another Fort was cut out of its squadron box and sent down in flames at about the same time. Both B-17’s crashed near Molac, France, with one crew member from each aircraft dying in the ordeal. 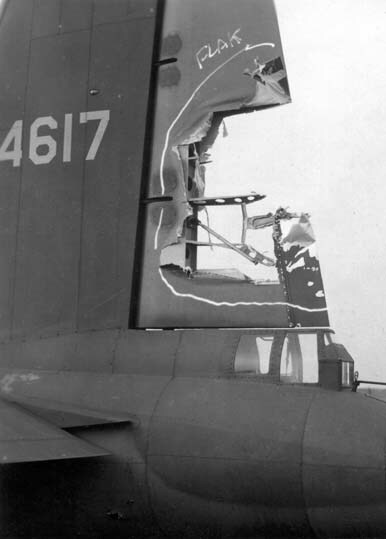 Battle damage suffered by a 305th Bomb Group B-17 during one of the February raids over Western Europe in 1943. Boomerang’s surviving crew tried to escape and evade. Several of them were able to avoid capture–at least at first. They were split into two groups, and one eventually was run down by the Germans and taken prisoner. Two men successfully evaded and returned to Allied territory. Norris Miller was also aboard the aircraft. Ford and Markland were the two who successfully evaded capture.